A park ranger stumbled upon a 132-year-old weathered, rusted Winchester leaning against a juniper tree on a rocky outcrop in Great Basin National Park. The gun, manufactured in 1882, was found during an archaeological survey in November 2014. Park officials say they may never know how long the rifle was there, but it is entirely possible it could have been left undisturbed for over a century. Herbert Houze, former curator at the Buffalo Bill Center of the West in Cody, Wyoming, believes that whoever left the rifle there simply forgot where they placed it. 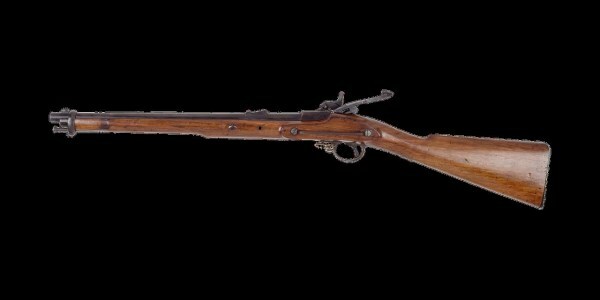 Winchester Model 1873 rifles sold for $35 to $50 in the 1880s and would fetch $15,000 in excellent condition today. The unloaded gun's wooden stock is cracked, but still intact, and its barrel is rusted. Nevertheless, Houze is thrilled with the rare find, and the rifle will eventually be on permanent display in the park. 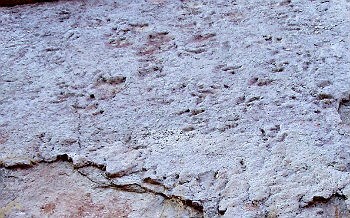 In August 2014, a hiker discovered footprints of several dinosaurs in the desert of Moab, Utah dating back 125 million years. An ancient crocodile dragging its tail left a slash in the hardened mud, as did a three-toed meat eater who walked there. All in all, there are a dozen different animals represented. Volunteers swept, scraped and brushed the stuff that's hidden the tracks from view for eons, before the area opened to the public in October 2014. Volunteer Lee Shenton said, “ (There's) over 200 tracks that we're aware of so far that we've uncovered. And at least one case where there are 17 consecutive prints from the same animal." Despite finding the tracks, for some of those species, scientists have never found a single bone they left behind. 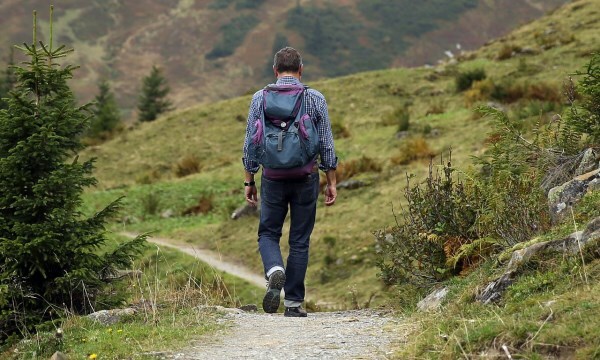 When going out for a leisurely hike, it is unlikely a person would encounter a new life form. But that is exactly what happened to Kingston, Washington resident Bill Agnew, who came home with not only one, but TWO new lifeforms. While on a five-day hike in the Colorado Rockies, the retired home builder discovered what one scientist believes are two microbes that have never been seen before. Dr. Loren Bahls, a University of Montana scientist and curator of the Montana Diatom Collection, called his sample a "major contribution." About 20 species of the muellaria diatom are known, and only two have been reported in the United States. Bahls said Agnew's sample "basically doubles the number of U.S. species." Agnew is part of Adventurers and Scientists for Conservation, a nonprofit that pairs mountaineers, divers, paddlers and other outdoor enthusiasts with scientists in need of data from far-flung places all over the world. In 1923, the Guadalupe-Nipomo Dunes near Santa Barbara served as the site of legendary silent film director Cecil B. Demille's epic film "The Ten Commandments." 90 years later, the remains of the massive movie set and tent city constructed for one of Hollywood's most influential filmmakers is being excavated. Roughly 1,500 workmen, most of them local, spent six weeks building the ancient Egyptian city. It included four 35-foot-tall statues of Ramses II guarding a 110-foot gate and 21 sphinxes – each weighing five tons – lining the avenue leading up to the entrance. But why, after production was over, did DeMille not truck the set back to Los Angeles, or simply leave it standing? 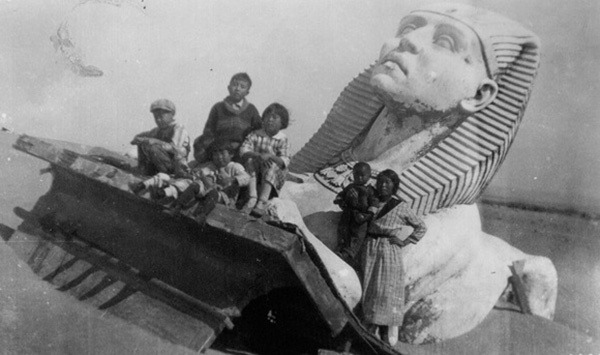 Documentarian filmmaker Peter Brosnan, whose upcoming documentary, tentatively titled "The Lost City of Cecil B. DeMille," thinks he knows the answer. "I think there were two things going on. Hauling away all that statuary would have been very expensive ... so I think he pulled a fast one and buried it." Brosnan has been seeking the vanished set since 1982, when he was given DeMille's autobiography, which described the building and burying of City of the Pharaohs. In 1991, he trekked to the area and confirmed the find with ground radar. He then dug a few test holes and covered them over to deter looters. While some objects from the DeMille film have been excavated and are already on display, others are still buried. The rest of the movie set and tent city remains shielded from treasure hunters, vandals and the elements by a blanket of sand. The still-buried artifacts also enjoy the protection of a threatened bird species, the western snowy plover. In addition to driftwood and seaweed, the remnants of the movie set are home to the bird. For this reason, the site is off-limits during nesting season, which is March through late September. A Contra Costa County resident stumbled upon a stolen ATM machine while walking near a creek in unincorporated Lafayette. 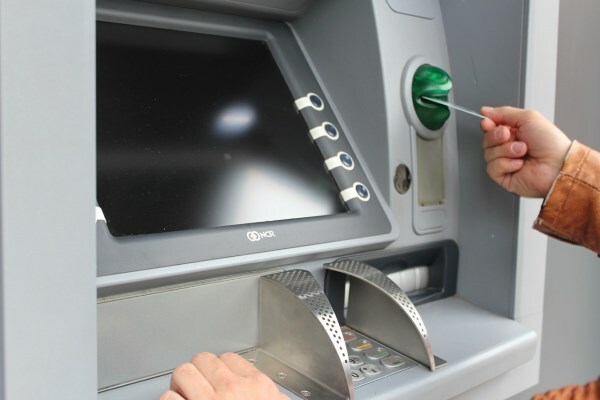 The machine was booked into evidence while sheriffs launched an investigation to see if it was linked to two recent ATM thefts occurred the area. While the machine was recovered, it appears the money it held was not. These hikers are walking on water, but it isn't a miracle. 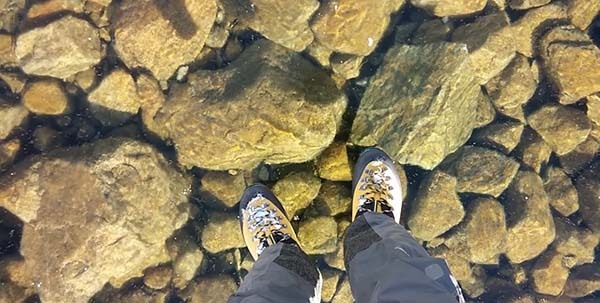 Thomas Nunuk posted a YouTube video of he and a friend walking carefully across what appears to be the surface of a glassy, frozen lake in the High Tatras Mountains of Slovakia. While some believe it to be a hoax, others aren't so sure. Igor Ludma, an experienced Slovakian tourist said it was the real deal: "It is only possible when the temperatures fall from being relatively mild to very cold very quickly, and at the same time it's important that there has not been any snow which tends to make the ice very cloudy. And we have had those conditions lately which would explain this very clear ice." Watch as the men walk on water so clear that every rock is visible underfoot. In 2014, Oscar Lerin, 35, and his girlfriend were out for a romantic stroll in a London park when they happened a huge marijuana farm just off the park's main path. The couple discovered the patch of around 70 professionally cultivated adult marijuana plants when they ventured deeper into Epping Forest in search of mushrooms. Of the find, Lerin said: "The soil was different. 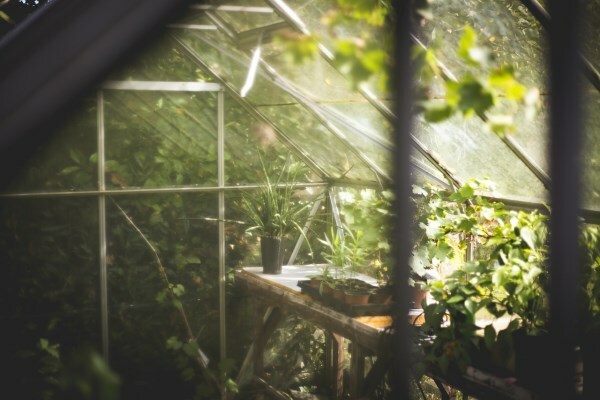 We had a look, and there was a sheet of plastic on the ground and the different soil was on top, and the plants were in there." They took a few fun photos in the strong smelling plants before continuing their walk. While walking near Santa Cruz, resident River Wolf found a headstone taken from Evergreen Cemetery, where prostitute Marie Holmes' was buried in 1898 after ingesting carbolic acid to end a despairing life. The hiker had first seen it in 2005 but only decided to go back for it in 2012. Holmes was a 21-year-old British woman who had come to Santa Cruz in 1897 and was working as a prostitute. Missing her daughter and suffering from tuberculosis, she drank poison and ambled downtown before collapsing in front of a saloon. The madame for whom Holmes worked paid for the funeral. 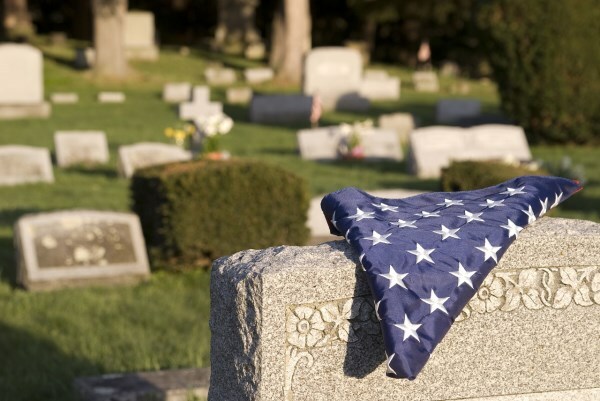 Holmes was laid to rest at Evergreen, which fell into disrepair in '60s and '70s. With only half of the original headstones in place and others deteriorated, buried or stolen, there is no timetable on when Holmes' headstone will be returned to its rightful place. For now, it is safe at the Museum of Art and History. 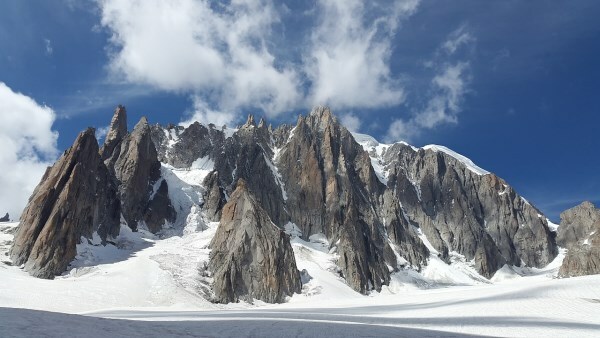 Jewels that were aboard an Air India plane that crashed in the French Alps were discovered buried in snow by a mountaineer scaling Mont Blanc. The jewels, valued at $332,000, were found in a metal box by an unnamed French climber in September 2013. They were believed to be from one of two possible flights that crashed in the area – one in 1950 and the other in 1966. The climber immediately handed the emeralds, rubies and sapphires over French police. French authorities are trying to trace the owners or heirs to the gems and have contacted Indian officials about the find. Other crash-related objects have been found in the area including a bag containing letters from India's Ministry of External Affairs, a mailbag containing 75 letters and birthday cards (some postmarked “Bombay 1950”), and a copy of the Hindustan Times Weekly newspaper, dated Jan. 23, 1966.